Florida International University (FIU) is pursuing a commercial partner interested in commercializing an artificial neural networks simulator. This artificial neural network (ANN) simulator has applications in both educational and industrial settings. 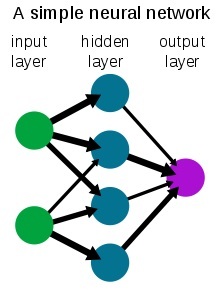 Neural Studio can be used in multiple disciplines, such as data analysis, computational modeling and simulations, information processing, biomedical applications, and as a research enabler for other problems that seek real-time. Current ANNs require knowledge of a programming language to operate, burdening the user. Researchers at FIU have developed a platform that has a simple user interface that does not require any knowledge of programming languages without sacrificing power. We are looking for a partner to commercialize the Neural Studio Artificial Neural Networks platform. This innovative software platform provides a simple, powerful simulator to create artificial neural networks. This simulator can be used for both academic and industrial purposes. Knowledge in programming languages is not required. Great personalization and customization features to allow for use in academic and industrial settings. “Industrial application” status option significantly speeds up calculations. Simple interface that allows users to visually design, train, and test an ANN using mostly the mouse. Minimal keyboard interactions are needed. The option of visualizing graphical outputs after each calculation step is present in each module. Open source coding allows users to view the code behind the different calculation modules whenever necessary. Ability to manually or automatically stop the training process at any discrete point of time in order to inspect the state of the ANN, which allows for debugging and for learning the progression of a given task. For educational purposes, platform can be used as a teaching assistance tool to improve classroom efficiency. For additional information about this technology opportunity, please contact Elizabeth Garami at egarami@fiu.edu or by phone at 305-348-0008 and ask about record IP 0411.